Club Bingon is is the loyalty program that everyone can is invited to take part in. Play and earn more rewards. Players will enjoy casino bonuses, exclusive promotions, a personal service, premium payment services and much more. Loyalty schemes are critical imo. We should get something back for our play. I never played at bingon before but I'll have a look. As a member, they will cover the fees associating with depositing. *They reserve the right to at any time ask for a statement or receipt to confirm the fee, especially in cases the fee exceeds 10% of the deposit value. 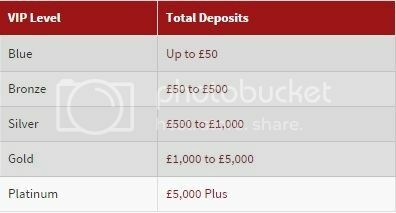 The fees covered have to be strictly related to the deposit made by the player. The fee amount will be credited in BBs to your account. Get rewarded for playing at Elf Bingo! Climb up five exciting VIP levels to enjoy bigger and better rewards at your favourite bingo site. Play at Elf Bingo and you'll be rewarded for your loyalty. The more you play, the higher you'll climb and the more you'll get as a VIP. FREE cash comes your way the longer you play! To say ‘Thank You’ active existing players are gifted with FREE daily rewards! There are 2 very special bingo rooms, each with 4 daily cash Jackpots, exclusively for loyal players! Win real cash, every day for FREE! The Diamond Club offers 5 VIP levels with perks improving with each level. Every £1 you wager on Bingo or Slots earns 1 diamond. The Diamond Store will launch soon allowing you to convert diamond into cards for games, bonuses, cash and much more. You automatically become a member of the Diamond Club with your first deposit.